Kurt Vonnegut: Still Speaking To The War Weary Vonnegut's blend of anti-war sentiment and satire made him one of the most popular writers of the Vietnam era, and his words still resonate with a new generation fighting abroad. On Thursday, the Library of America will republish four of the late author's novels, including Slaughterhouse-Five. 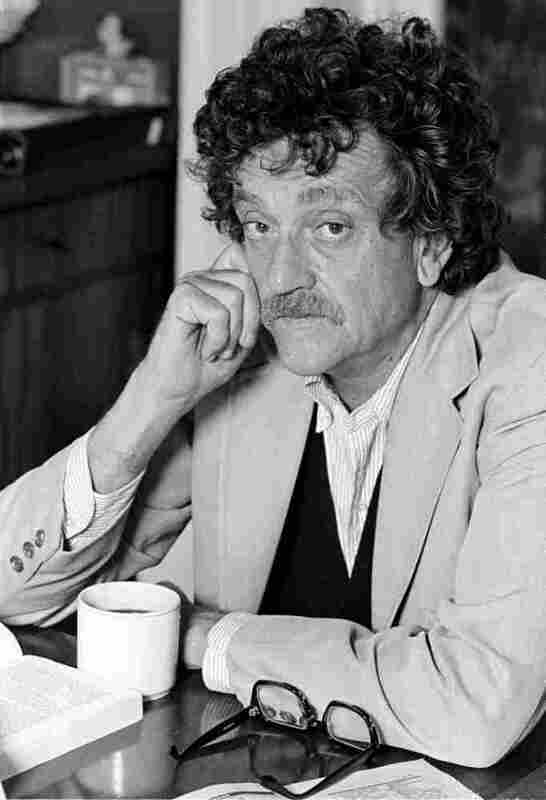 Author Kurt Vonnegut, shown in 1979 in New York City, died in 2007 at age 84. Kurt Vonnegut's blend of anti-war sentiment and satire made him one of the most popular writers of the 1960s, a time when Vietnam dominated the headlines in a way the country's current wars do not. 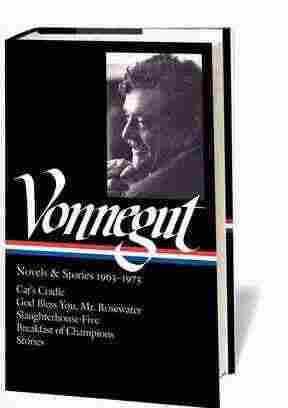 On Thursday, the Library of America is republishing four novels written when Vonnegut was at his height of popularity — Cat's Cradle; God Bless You, Mr. Rosewater; Slaughterhouse-Five and Breakfast of Champions. The central theme in Vonnegut's fiction from the 1960s is the irrationality of governments and the senseless destruction of war. In a 1987 interview, Vonnegut said he was determined to write about war without romanticizing it. "My own feeling is that civilization ended in World War I, and we're still trying to recover from that," he said. "Much of the blame is the malarkey that artists have created to glorify war, which as we all know, is nonsense, and a good deal worse than that — romantic pictures of battle, and of the dead and men in uniform and all that. And I did not want to have that story told again." So he approached the subject with humor. His breakthrough to millions of readers came in 1963, with his fourth novel, Cat's Cradle, about a secret military experiment, called "Ice Nine," that leads to the destruction of civilization. But his most striking anti-war statement came six years later, and was quickly adapted by Hollywood. Slaughterhouse-Five depicts the firebombing of Dresden by Allied warplanes in 1945. The city was destroyed. More than 100,000 civilians were killed. The novel is semi-autobiographical. 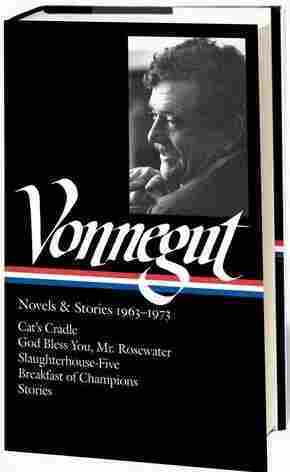 Like its hero, Vonnegut was an American POW, imprisoned in a Dresden slaughterhouse during the air raid. "The destruction of Dresden was my first experience with really fantastic waste," he explained. "To burn down a habitable city and a beautiful one at that ... I was simply impressed by the wastefulness, the terrible wastefulness, the meaninglessness of war." We have become such a pitiless people. He highlights that meaninglessness by having his main character, Billy Pilgrim, become unstuck in time, reliving random moments of his life — as a young prisoner in Dresden, and as a middle-aged optometrist, captured by aliens for an outer space zoo exhibit. The story struck a chord with young people facing the draft and a seemingly senseless war in Vietnam. Sidney Offit was the editor of Intellectual Digest when the book came out and is editor of the new Library of America edition of Slaughterhouse-Five and three other Vonnegut novels. "His reputation was so overwhelming amongst young people," Offit says. "And in a sense, his books were politicized in the culture. They were representative of a point of view that was sweeping the country. Religion is a strong word — but it was almost a religious devotion. And that generates from serious critics who always talked with skepticism: 'Those young people are responding to what? There's nothing complex' — the genius of it was its accessibility." What made them readable in the 1960s makes them readable now, says Offit — as does their continued relevance. As a teen, Sagal fell in love with Vonnegut's novels. He recently reread those books as an adult and found them even better than he remembered. "There is a serious theme that runs through," Offit explains. "And that theme — that concept of our inhumanity and our self-destruction, and our irrationality — if anything is becoming stronger. God, you read the Times in the morning, it seems like Kurt Vonnegut's worst nightmare has come true." In a 1991 interview, shortly after the Gulf War, Vonnegut said he was saddened by what he saw in America. "We have become such a pitiless people," Vonnegut lamented. "And I think it's TV that's done it to us. When I went to war in World War II, we had two fears. One was we would be killed. The other was that we might have to kill somebody. And now killing is Whoopee. It does not seem much anymore. To my generation, it still seemed like an extraordinary thing to do, to kill."